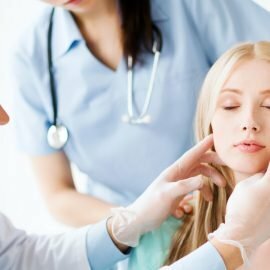 This is an informed-consent document that has been prepared to help inform you concerning partial facelift surgery, its risks, as well as alternative treatment(s). Partial Facelift, or rhytidectomy, is a surgical procedure to improve visible signs of aging of segments of the face and neck. As individuals age, the skin and muscles of the face region begin to lose tone. The partial facelift cannot stop the process of aging. It can improve the most visible signs of aging by tightening deeper structures, re-draping the skin of face and neck, and removing selected areas of fat. A partial facelift can be performed alone, or in conjunction with other procedures, such as a browlift, liposuction, eyelid surgery, or nasal surgery. 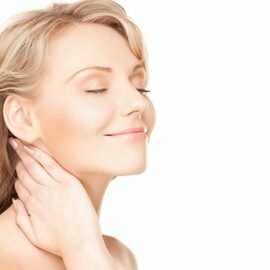 Most typically, partial facelift can improve the anterior neck, or midface areas. It is a lesser surgery and therefore cannot be expected to provide a complete full facial rejuvenation. It is best performed on patients with limited aging areas such as the anterior neck with mild bands and skin laxity, or a patient with cheek – midface laxity without jowls or full signs of facial aging. Partial Facelift surgery is individualized for each patient. The best candidates for partial facelift surgery have a face and neck line beginning to sag in certain areas, rather than everywhere, but whose skin has elasticity and whose bone structure is well defined. A concern for these Partial Procedures is they will address all facial concerns of aging. 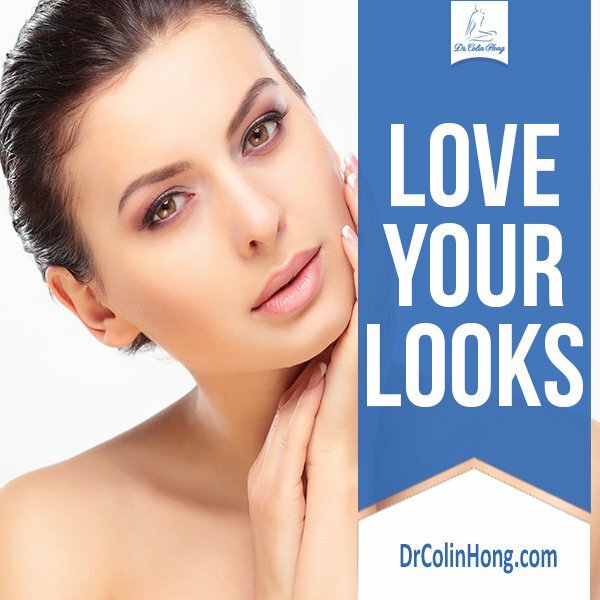 They will not prevent further aging, and may actually create an uneven aging profile in that the partial facelift treated area now appears much younger than other facial areas not treated. Discuss these procedures with your surgeon and what expectations are realistic. Alternative forms of management consist of not treating the laxness in the face and neck region with a partial facelift (rhytidectomy). Improvement of skin laxity, skin wrinkles and fatty deposits may be attempted by other treatments or surgery such as laser resurfacing, chemical face peels, fat injections, or liposuction. Risks and potential complications are also associated with alternative surgical forms of treatment. Every surgical procedure involves a certain amount of risk and it is important that you understand these risks and the possible complications associated with them. In addition, every procedure has limitations. An individual’s choice to undergo a surgical procedure is based on the comparison of the risk to potential benefit. Although the majority of patients do not experience these complications, you should discuss each of them with your plastic surgeon to make sure you understand all possible consequences of partial facelift surgery (rhytidectomy). Partial facelift procedures only address specific areas such as the central anterior neck and work best when there is not excessive skin, but partial neck bands and slight laxity. A small incision is placed under the chin during which the skin can be re-draped and the muscle neck bands treated. Another partial facelift procedure addresses the midface by lifting and re-draping the upper cheek area. There are many methods to correct this area including the use of cheek implants, fat grafting techniques, cheek lifts with incisions at the lower eyelid crease and within the hair bearing scalp – temple areas. Each has its benefits and risks. Discuss with your surgeon which approach will be used and what expectations are reasonable. Nerve Injury: Motor and sensory nerves may be injured during a partial facelift operation. Weakness or loss of facial movements may occur after partial facelift surgery. Nerve injuries may cause temporary or permanent loss of facial movements and feeling. Such injuries may improve over time. Injury to sensory nerves of the face, neck and ear regions may cause temporary or more rarely permanent numbness. Painful nerve scarring is very rare. Healing Issues: Certain medical conditions, dietary supplements and medications may delay and interfere with healing. Patients with massive weight loss may have a healing delay that could result in the incisions coming apart, infection, and tissue changes resulting in the need for additional medical care, surgery, and prolonged hospitalizations. Patients with diabetes or those taking medications such as steroids on an extended basis may have prolonged healing issues. Smoking will cause a delay in the healing process, often resulting in the need for additional surgery. There are general risks associated with healing such as swelling, bleeding, and the length of surgery and anesthesia that include a longer recovery and the possibility of additional surgery, prolonged recovery, color changes, shape changes, infection, not meeting goals and expectations, and added expense to the patient. Patients with significant skin laxity (patients seeking partial facelifts, breast lifts, abdominoplasty, and body lifts) will continue to have the same lax skin after surgery. The quality or elasticity of skin will not change and recurrence of skin looseness will occur at some time in the future, quicker for some than others. There are nerve endings that may become involved with healing scars during surgery such as suction-assisted lipectomy, abdominoplasty, partial facelifts, body lifts, and extremity surgery. While there may not be a major nerve injury, the small nerve endings during the healing period may become too active producing a painful or oversensitive area due to the small sensory nerve involved with scar tissue. Often massage and early non-surgical intervention resolves this. It is important to discuss post-surgical pain with your surgeon. Use of Fibrin Sealants “Tissue Glue” During Rhytidectomy Advisory: Fibrin sealants which are produced from heat-treated human blood components to inactivate virus transmission are used to hold tissue layers together at surgery and to diminish post-operative bruising following a rhytidectomy. This product has been carefully produced from screened donor blood plasma for hepatitis, syphilis, and human immunodeficiency virus (HIV). These products have been used safely for many years as sealants in cardiovascular and general surgery. This product is thought to be of help in diminishing surgical bleeding and by adhering layers of tissue together.